Many of our readers have asked questions like those above. Perhaps you’re thinking of launching a business or transforming your existing business model. 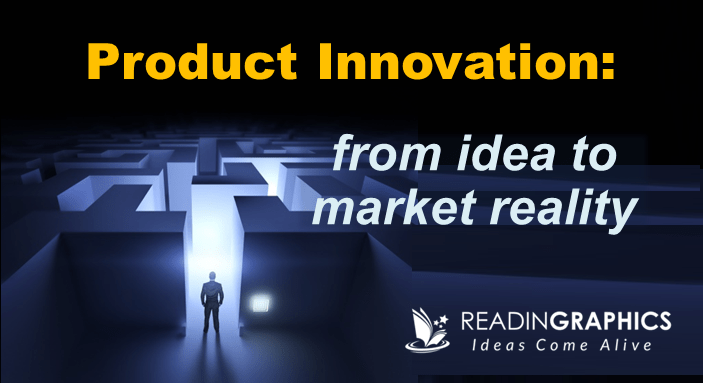 Or perhaps you’re driving a new product/service innovation in a large organization. 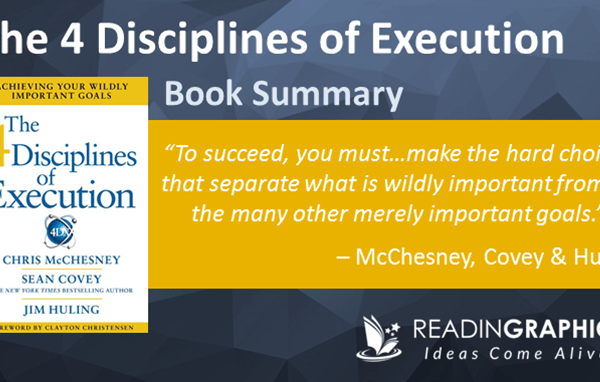 The key challenge is similar: How do you successfully bring an idea from concept to reality? • We don’t be diving into the technical details behind each concept, though you can get more information using the links provided. 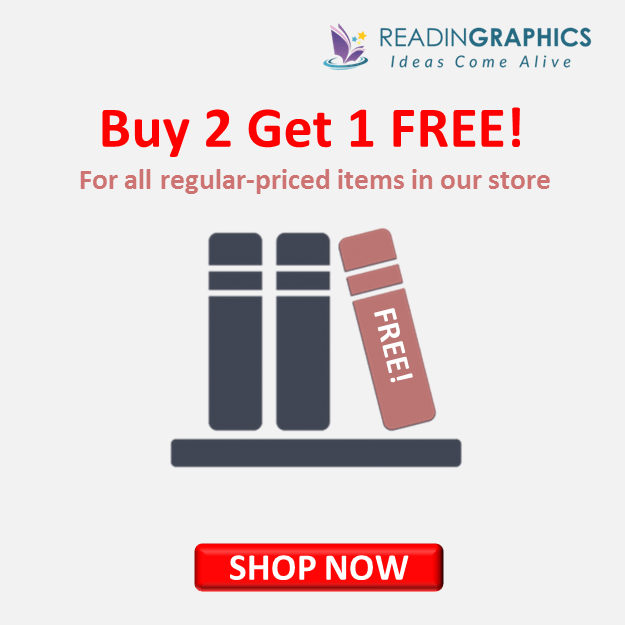 • We’ve verified that these concepts work (yep, ReadinGraphics’ infographics summaries started out as mere powerpoint concept drafts and evolved to the humble business you see today). We’re still refining and iterating further product innovations and collating them into case studies–so stay tuned for those! • No matter how great you believe your idea is, don’t jump right in and start building it yet. We tend to be overly-optimistic about our ideas, and we’re blind to our own biases and assumptions. Instead, you need to step back and systematically identify/test your key assumptions, so you can refine your product/service idea while concurrently testing the sales/marketing channels that you’d need once your product is ready. 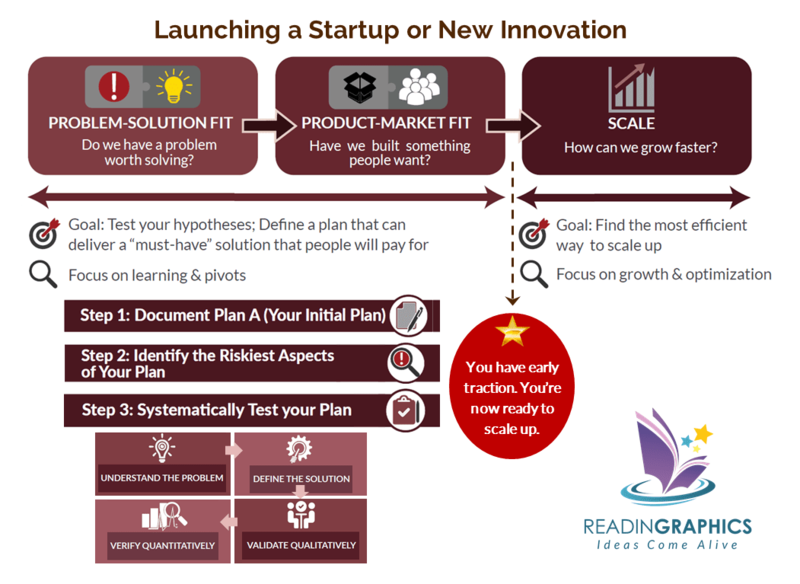 • In this article, we use Eric Ries’ definition of “startup“ as a group of people trying to create a new product or service in face of great uncertainty. In short, a “startup” can be a brand new business or a unit in a large organization. If you’re working for an established organization or an MNC, you may want to check out “The Innovator’s Dilemma” for their recommendations on the ideal organizational structure to facilitate new innovations (we won’t be covering that in this article). If you think you’re going to just build something amazing, throw it out in the market and people will flock to you, think again. Great products or services cannot be created in isolation from sales/marketing and the overall business model. After all, your product/service must add value and solve problems for specific customers groups, in a way that is financially sustainable. In “The Lean Startup“, Eric Ries gives some important perspectives on innovation; he explains why you must not build your strategy and products/services on untested assumptions, and how to go about building experiments to test the hypotheses in a Build-Measure-Learn loop. Running Lean takes this further by breaking down the concept into a detailed step-by-step blueprint that you can use to systematically test and develop a business around your new product. Specifically, you’ll need to define and test 9 key components that determine whether you have a truly viable product and can build a business model around it. • #1/2: Problem & Customer Segments–what problem(s) are you solving and who will pay for your solution? • #3: Unique Value Proposition (UVP)–how are you unique and worthy of attention? • #4: Solution–what are the key features you must include in your solution? • #5: Channels–how will you reach these customers? 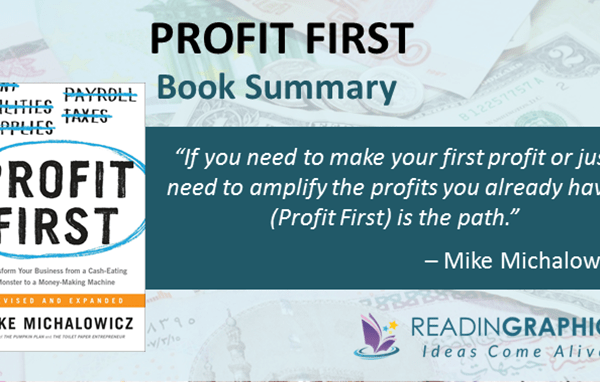 • #6/7: Revenue Streams & Cost Structure–can you sustain your initial efforts until your product takes off? • #8: Key Metrics–how will you track if you’re making real progress? • #9: Unfair Advantage–what advantage do you have that can’t be easily replicated by others? Remember: you don’t really have a successful product (nor a viable business) until you can address all of these components. Before we move into the process of product development & launch, it’s important to understand the 3 key stages involved in any startup/innovation. • Problem-solution fit: First, you must confirm that you have a problem worth solving, i.e. your solution is something that people must have and will pay for; it must also be something you can build. • Product-market fit: Then, you must figure out how to reach your customers and convince them to pay for your solution, while you build it (starting with a demo and “minimum viable product” or MVP). Yes, if you have the solution to a problem worth solving, people should be paying for your initial product even if it’s far from perfect. When you have built an MVP that people are paying for, you have “early traction”–an important concept we’ll elaborate on later. 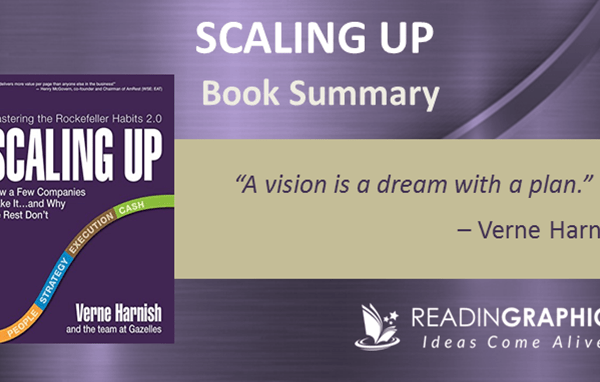 • Scale: Only when you have achieved the 2 phases above are you ready to scale up (and get investors if you need them). If you’re thinking, “oh my gosh, that sounds tedious and time-consuming”, well here’s the hard fact: it is. Don’t believe in those overnight successes and sure-win shortcuts that you read about on the internet. Building a truly amazing new product/service or business is going to take lots (and we mean LOTS) of learning and revisions. Of course, the process can be as exciting as it is challenging. Just be mentally prepared for it so you don’t jump in the deep-end and drown. Now that we’ve had our dose of reality check, let’s move on to what must be DONE. Broadly, you’d want to apply the 50% Rule recommended in “Traction“. Spend 50% of your time on product development and 50% on traction development (where traction = the measurable evidence of customer demand, e.g. the number of app downloads or the number of sales transactions). Don’t waste time developing a 100-page business plan at the beginning. Because most initial plans won’t work anyway. • Identify the Biggest Risks in your Plan: Having considered your possible segments and models, the next step is to evaluate your risks so you can choose the least risky segment/business model to start testing. 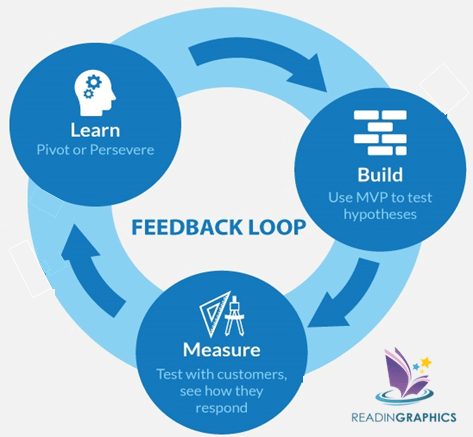 • Systematically test your plan, using a 4-part testing process: Understand the Problem => Define the Solution => Validate Qualitatively => Verify Quantitatively (then repeat the loop). Broadly, this includes speaking with potential customers to validate their demographics & psycho-graphics, their biggest pain points and current alternatives, figure out the key features and validate them through a demo, then refine and test it with a minimum viable product. 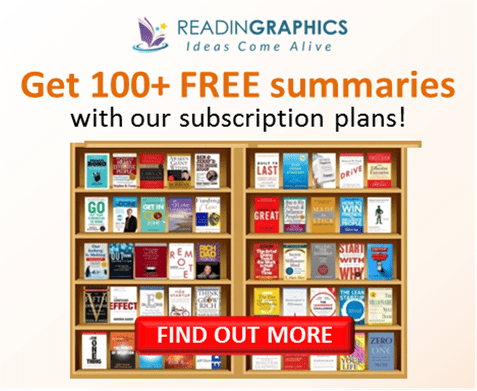 We won’t go into the details here: you can read our free Running Lean book summary article, get the full summary bundle or get the book if you wish to dive in and start fleshing out your plan. Your customer conversations in the “Running Lean” process above will give you insights into who your ideal customers/early adopters are, their key buying considerations, words/phases they use, how they’d use your solution and the obstacles you must address to encourage purchase. These are all vital for your sales and marketing efforts. 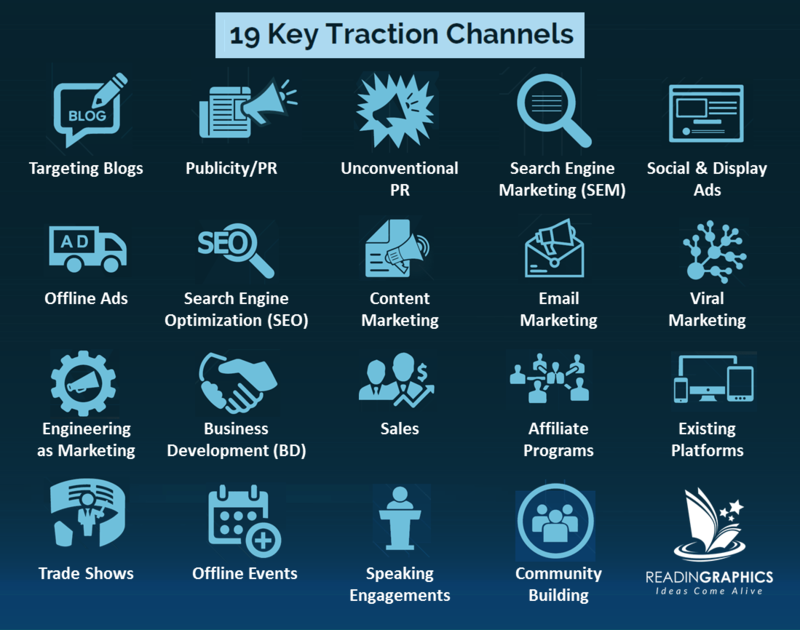 Combine these insights with the recommendations in “Traction“ to systematically test and optimize a wide range of sales and marketing channels, so you can find the best one(s) to reach your customers and build traction. In the book, Weinberg covers 19 key channels and explains why/how to consider them all, rather than just focus on the channels you’re familiar with (which may not be the best for your business/product). • The 50% Rule (putting 50-50 effort on product vs traction) which we’ve covered earlier. The Lean Canvas also gives a good blend of focus on both aspects. • Critical Path. Defining what traction means for your business, setting a quantifiable traction goal (which should appear in the Key Metrics of your canvas), then focus only on strategies and tactics that will move you toward your goal. The Critical Path refers to the key milestones that are absolutely essential to reaching your traction goal—stay on the critical path so you your limited resources on what’s most essential. • The Bullseye Framework.Earlier, we mentioned 19 key traction channels. The Bullseye Framework helps you to identify the most optimal channel that your startup should focus on, starting with possible options for each channel, to identifying the most promising channels (after figuring out roughly what it costs to get customers through each channel, how many customers are available and if they are the types of customers you want). Then finally focusing on the 1 most promising core channel until you have optimized and extracted the most from this core channel before moving on to the next best one. Developing a new product/service can be extremely exciting and rewarding if you get it right. So, if you have a great idea, don’t wait. Although it’s a bad idea to start building it immediately, you certainly can start researching on potential customers, competitors, existing marketing alternatives, case studies etc. Besides The Innovator’s Dilemma, The Lean Startup, Running Lean, and Traction, you may also want to check out these useful resources: Blue Ocean Strategy, Creativity Inc, Originals, and Scrum. [You can also buy the individual summaries from our store, or subscribe to get instant access to all these titles]. Once you have greater clarity on your idea and assumptions, put them down on paper using the steps laid out in this article, and start to test and develop them, step by step. This systematic approach make take a little more time initially, but it will help you to make the most of your limited resources and significantly increase your chances of launching a successful new product/service. All the best!